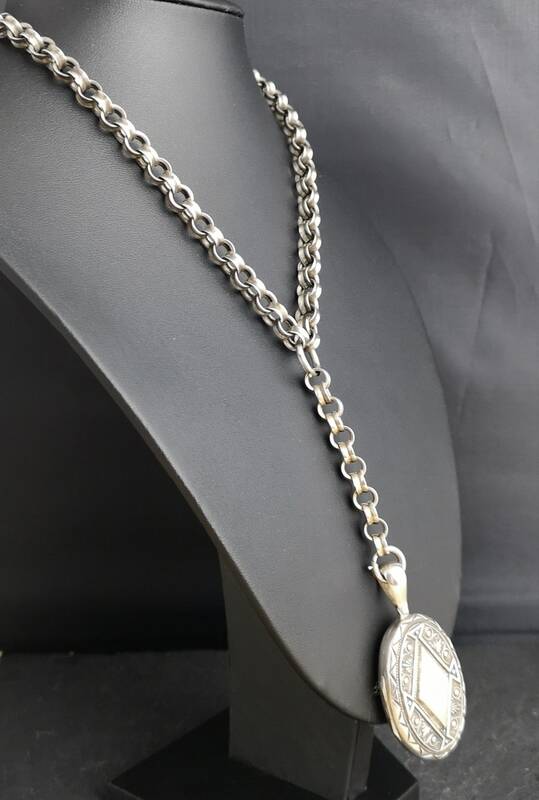 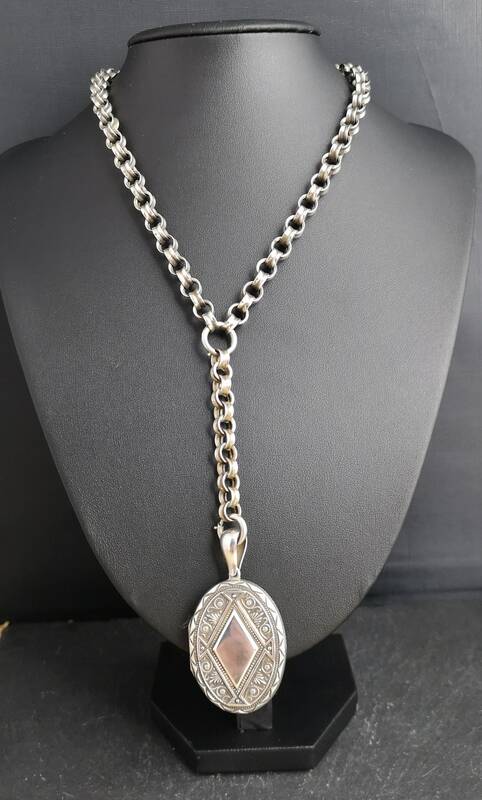 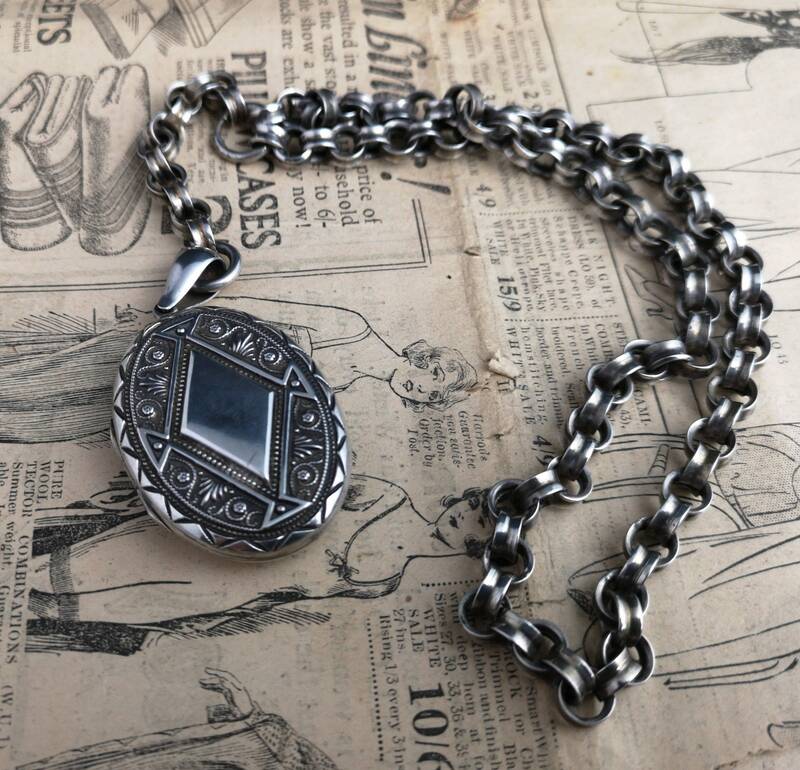 An absolutely gorgeous Victorian sterling silver locket and collar necklace. 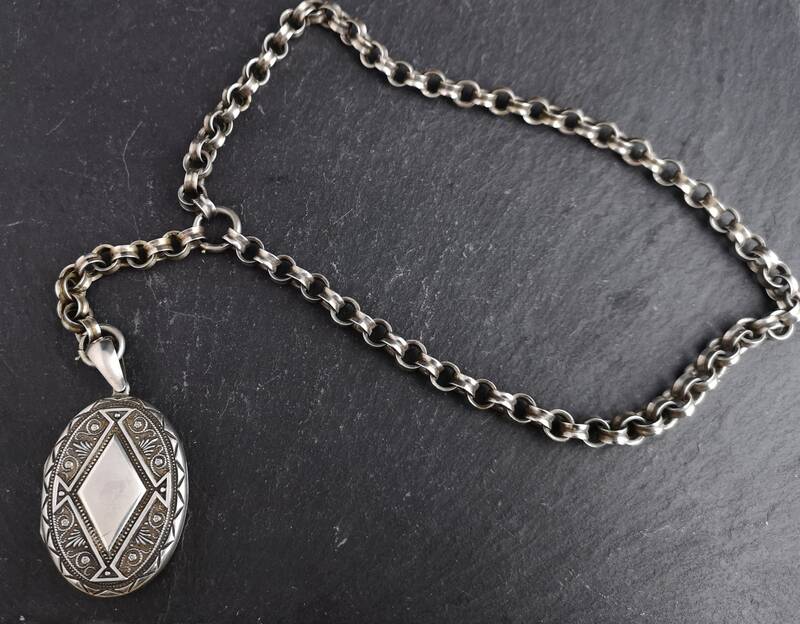 The necklace and locket are both lovely and chunky, the locket is deeply engraved on the front with a central diamond shaped cartouche. 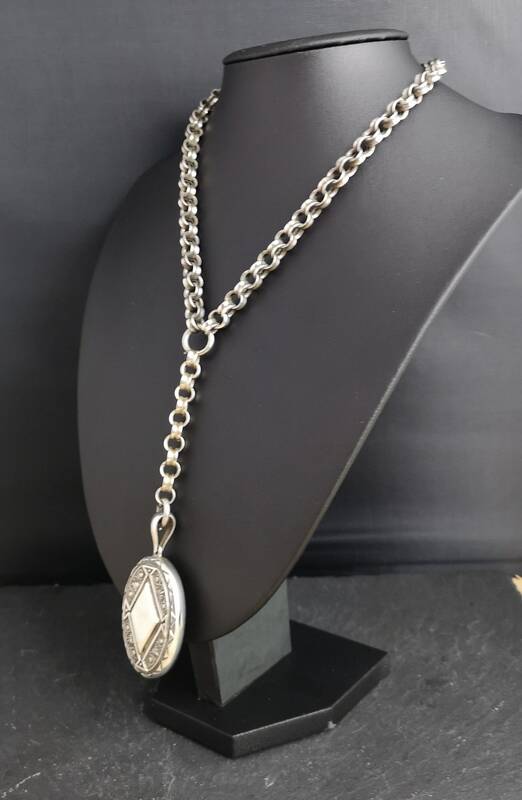 The necklace is a chunky round rolo type double rim belcher chain, it has an amazing lariat shape with a removable extension so you can switch up the style as you please, attached with chunky spring ring fasteners. 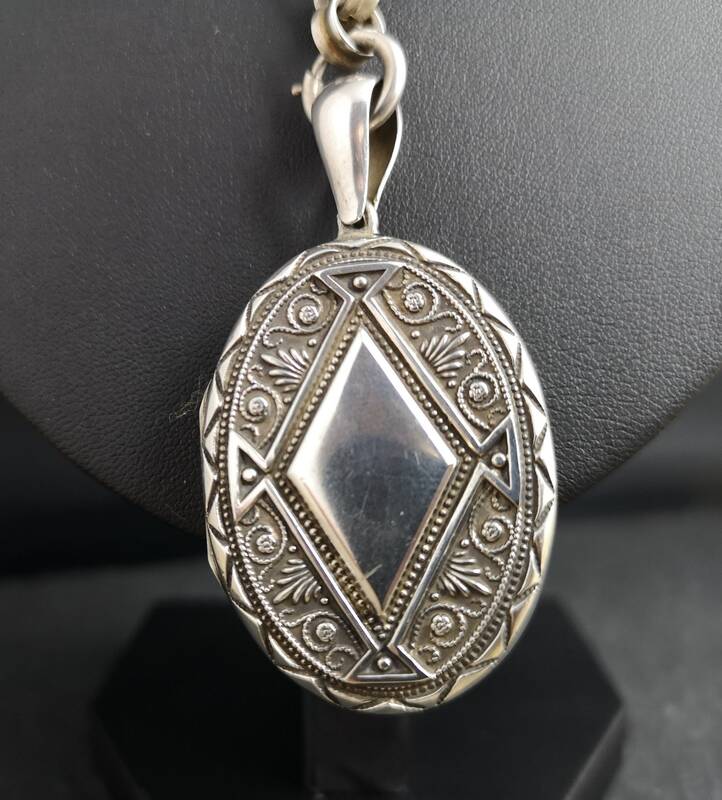 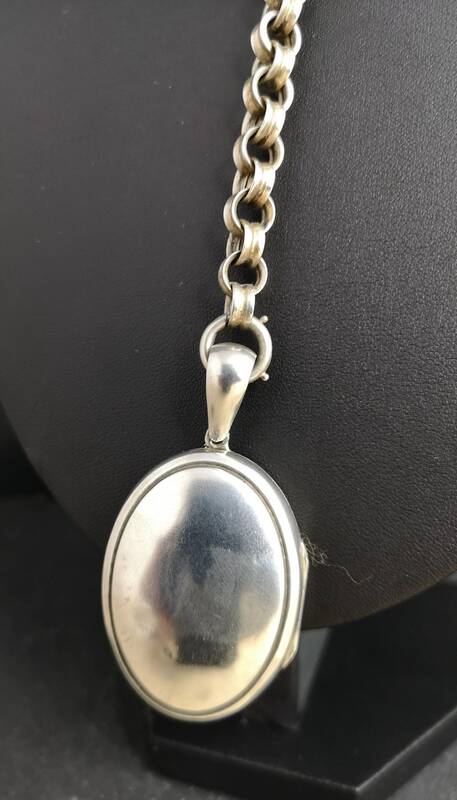 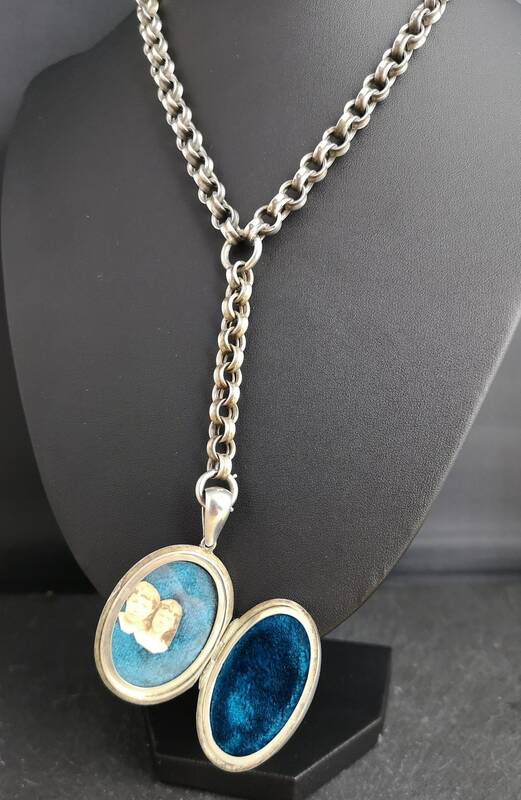 The back of the locket is plain polished, inside there is a deep teal velvet, one side has a replaced plastic glazed panel the other is empty, it is unmarked sterling silver, tests as 925. 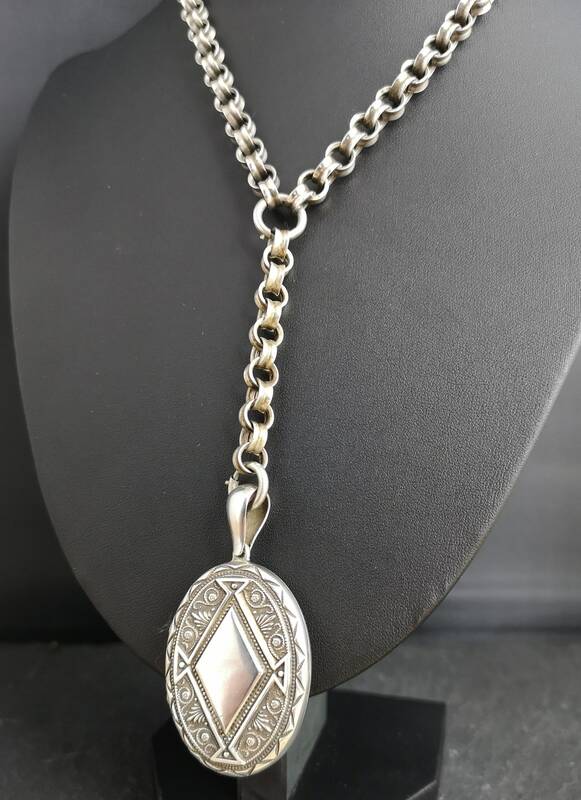 Good condition overall, a beautiful antique necklace and locket, very well made. 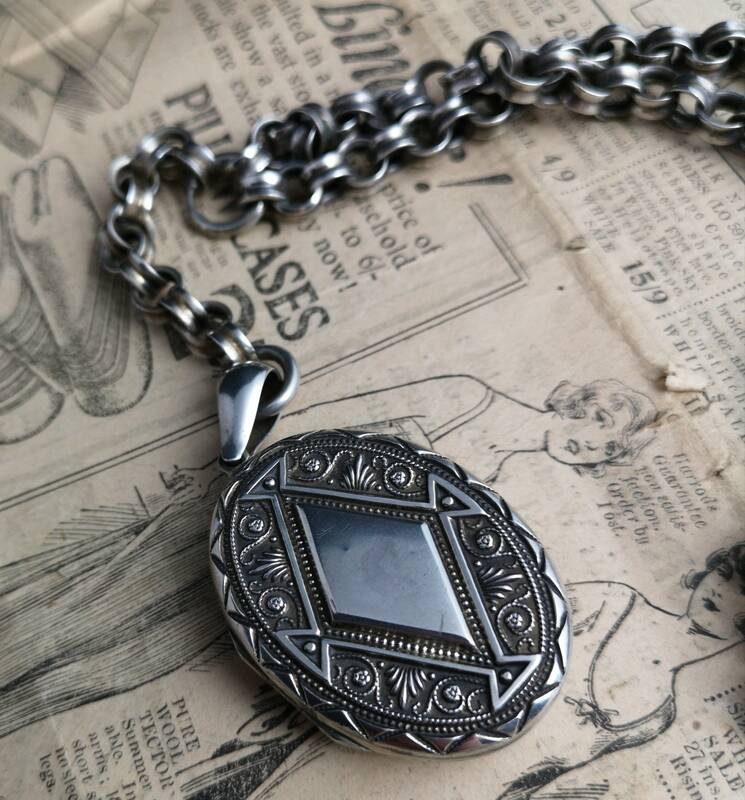 This chunky collar and locket has a really good weight to it at approx 47.58 grams.